The degree of an accident depends largely on how serious the resultant damage is. 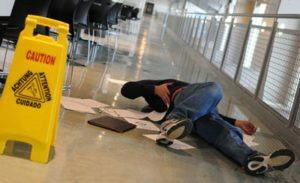 In the event of a serious slip and fall accident in Compton, you are expected to not just seek medical attention but to also reach out to a competent slip and fall accident attorney in Compton to discuss how best to bring those responsible to book.If the accident occurred as a result of the negligence of the owner of the property, it makes it quite an easy case to level in court. However, most cases are not as straightforward. Some factors are taken into consideration. Some such factors include previous complaints made about the existing hazard in the property, the degree of the injury suffered by the victim and some others. When you need to hire a reliable slip and fall accident attorney in Compton, head over to Rawa Law Group. Rawa Law Group is a competent and foremost legal firm here in Compton, CA. We have some of the brightest legal minds in the country and we are guaranteed to bring you good representation that you need. Our experts will privately walk you through your case while estimating the appropriateness of your claim via our in-house investigators. Rawa Law Group is a company that has been active in the legal industry for over two decades, with a cumulated experience of over 55 years. Our profound skill and services have led to the winning of settlements valued over hundreds of millions to our clients. Reach out to us if you want the best representation. We are here for you.